The temperatures in Texas will remain close to triple digits for a few more weeks, but summer is drawing to a close. The world of style and fashion is already giving us ideas for fall wardrobe updates, but before we get to that, let’s take a look back. Summer fashion always embraces the bold – coming out of winter hibernation, we eagerly put on bright colors, big prints, and in our desire to celebrate the rebirth around us we often get a little carried away. Here are our picks for worst fashion trends of Summer 2017. Every year, there’s a long-ago trend that tries to pop up and make a comeback. Or, a staple in women’s fashion will attempt to cross over to the world of men. One of those is a romper, which at one point even brought us the term “RompHim”, which could also make it onto a list of worst linguistics trends of 2017. So, my fellow fellows, I know James Bond wore one, but that was over 50 years ago. Let’s keep the tops and the bottoms unattached and of different colors or patterns. Well-fitted button down short-sleeve shirt and a pair of walking shorts is all you need to look stylish, rather than ridiculous. This one should be obvious, but you’d be surprised how many people asked me what I thought about this ill-advised variation of the romper. It all started because of the US rapper Cazwell who shared a photo of five men in full-lace, matching outfits, pastel colors and all. Therefore, maybe if you’re dropping your EP and you need some exposure in the social media news cycle… No, actually, not even then. To stand out in a good way, consider a popover, which is a casual shirt that you put on over your head; it’s a halfway point between a polo and an open front dress shirt, and it’s easy to make it work. Look, your name is not Adam Levine, and it’s not Channing Tatum, either. Besides, there’s no point in spending more than $20 or so on a t-shirt, especially one that comes pre-torn and includes faux moth holes. Same goes for oversize hoodies, patchy overcoats, baggy cutoff pants, torn jeans… you don’t look cool, you look like a hobo. Just find a nice clean t-shirt in your size (or, better yet, invest in a made-to-measure polo! ), and pair it with chinos for an outfit that will be comfortable, but respectable. This is more of a pet-peeve than a trend, and it should appear on this list every year. Are you wearing a swimsuit and within 50 feet of a large body of water? If not, please invest in a pair in boat shoes that you can wear barefoot or with a pair of no-show socks. 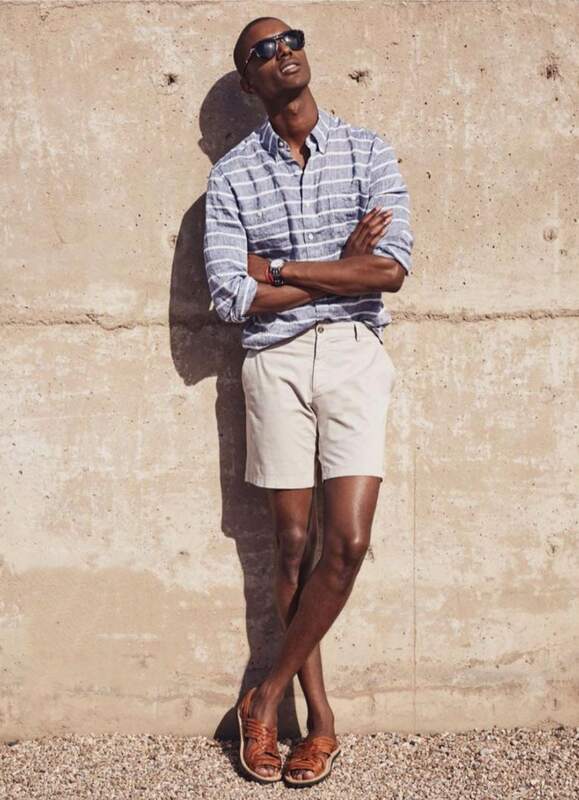 If instead of shorts you’d like to wear long pants, perhaps loafers of some kind should be in your summer arsenal. Driver shoes are always in style, too, even for those who race on the tollway and not on the race track. Unless you’re a Russian oligarch, keep your shirt on when you’re in public.